Houghton Mifflin Harcourt, 9780618574230, 392pp. Critically acclaimed for its innovative design, the Kaufman guide introduced a new generation to birding. 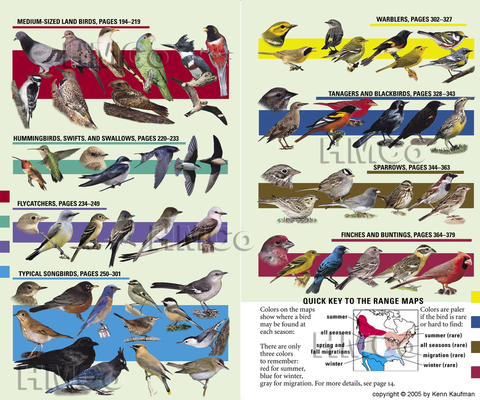 The Kaufman Field Guide to Birds of North America includes the official names of birds and range maps. Additional information helps beginning birdwatchers get started, all in the same compact format that has made this guide the easiest to use for fast identification in the field.